How many of those “great ideas” have you ever had and they fell through? How many different careers did you see yourself in when you were like 8? And you didn’t do them either. And how many chances have you had the opportunity to do something extravagant, or worthwhile, or life changing and you just…..didn’t or couldn’t?? A lot of things in this world aren’t worthwhile or life changing. And all there is never lasts forever anyway. 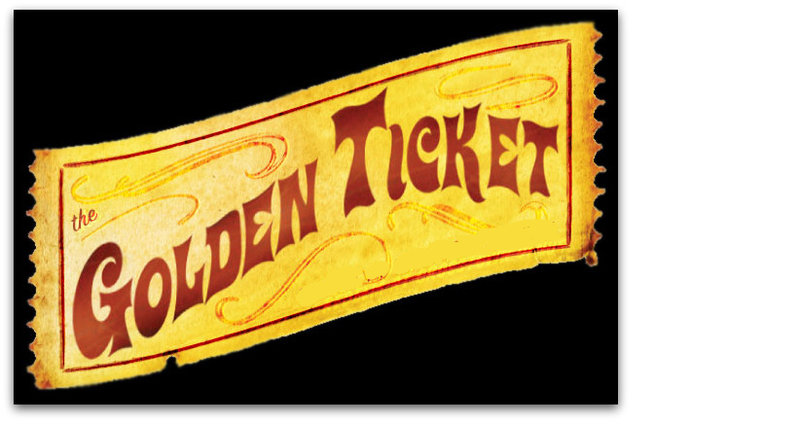 But there is one ticket that is always good and it has your name on it and is the MOST life changing experience there is. When your eyes are finally opened to the realization that you are nothing, nothing but a sinner, and there is no good thing that you can do to “win God over” or “buy your way into Heaven” then that’s when you see the light. When a person first comes to Christ, they experience the same self-realization that other believers do. But what differs from the believer and the unsaved is that while we all may have a bazillion ideas, or wishes or things we want to do that’s worthwhile in life, only the believer has the best, sure-fire, fool-proof idea. The only thing that’s worthwhile in life, is Christ. The only thing that’s TRULY life changing, is His Spirit living inside of us helping us, guiding us, and encouraging us through daily life and struggles. Acceptance of God’s FREE gift to us as sinners who have repented of an old lifestyle and are aspiring to live as loyal, loving subjects under the KING, is the ONLY good idea there is, but it is a decision; a choice that must be made. And only an individual can make that choice for themselves. But the choice to embrace all of God’s love, forgiveness, guidance and discipline is the BEST choice, the WISEST decision & the most delightful and glorious idea anyone can ever make. 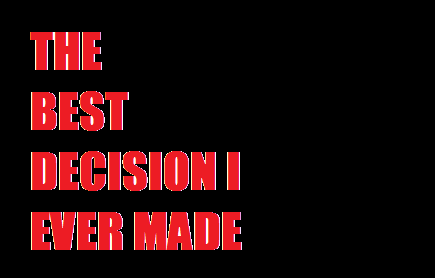 So what’s really the best decision You’ve ever made?? I say “ditto” to your Dad!